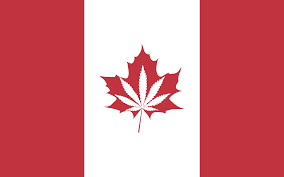 Canada Hard to believe, but true: on April 20th 2016, also known as “420” to many recreational cannabis consumers, the Canadian government announced its project for total legalisation of the plant. Jane Philpott, the Health Minister of Canada, broke the news during the United Nations General Assembly Special Session on Drugs (UNGASS). Hard to believe, but true: on April 20th 2016, also known as “420” to many recreational cannabis consumers, the Canadian government announced its project for total legalisation of the plant. Jane Philpott, the Health Minister of Canada, broke the news during the United Nations General Assembly Special Session on Drugs (UNGASS). In Spring 2017, legislation aiming to legalize recreational cannabis will be introduced to the Canadian population, and to the world. Elected in 2015, Justin Trudeau, Canada’s Prime Minister, had been vocal about his desire to legalize cannabis. His main goal, he said, was to amend the “failed system” via which many are imprisoned unjustly. According to him, in order to achieve this, the “criminal element” of said system had to be removed from the equation. Activists and nations alike have been waiting to see if Trudeau’s promise was genuine, with various degrees of impatience. One reason for this is that the ground-breaking decision, meant to mirror the changes implemented in the US states of Washington and Colorado, is somewhat controversial, as it goes against many conventions, and is generally a disturbance of the international stance on all drugs. The Health Minister, well aware of this situation, made sure her audience had a clear idea of the proceedings to come. She emphasized that medicinal cannabis is already legal in Canada, and a plethora of dispensaries and licenced growers are available to patients. Patients can also grow plants in order to produce their own medicine. Yet, illegal cannabis-related activity has not reached a full stop. Moreover, many illicit, dangerous substances are widely available, especially to young Canadian citizens. This makes drug-related medical issues, as well as drug-related deaths, a tragic national matter of the utmost importance. Philpott reminded the assembly that Canada’s take on cannabis is one led by scientific facts and general education, which its government proudly stands for. Happy 420, Canada! The Sensi Seeds team is proud to see a new contender in the great fight against cannabis prohibition. Stay tuned for more news about this, as the story unfolds.